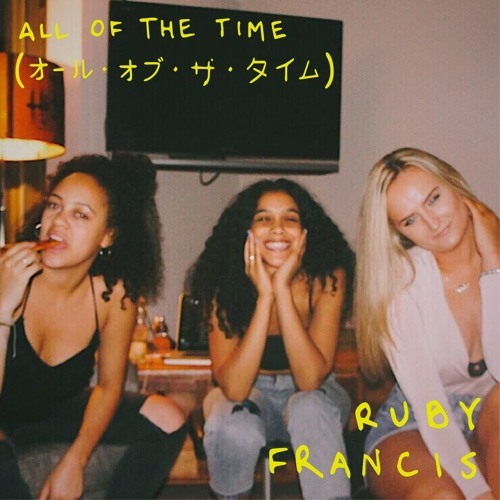 Home / brand new / brand new artist / música / Ruby Francis / Ruby Francis Drops New Single "All Of The Time"
Ruby Francis Drops New Single "All Of The Time"
Time for some smooth music. London-based singer-songwriter Ruby Francis has just unveiled her brand new single All Of The Time. I really like her dulcet vocals and the production of the song is super cool with a sick bassline and synth works. The track oozes summer and has an infectious laid-back groove that just makes me want to play the song over and over again. Stream it below! All of the time is open to interpretation, but my initial inspiration came from breaking up with someone. It’s about those moments after a break up when your mind clings on to the hope of them coming back. It’s when you think that maybe there is still a chance, or maybe it was a joke or something! I was listening to Kaytranada’s 99.9% album at the time, which inspired that sort of bouncy and bright upbeat groove which is unusual for a break up song, but I guess this was my way of healing. I wan’t people to feel great and dance when they hear it and to not feel the sadness of the initial inspiration.